Good news: I just did a ton of research on diet drinks so you don’t have to–but I would still encourage you to! Aspartame gets a bad rap– and you should probably avoid it. But science doesn’t back up a lot of the more extreme claims. At least not yet. Artificial sweeteners trick your brain into thinking you’ve consumed more calories than you have– kind of. See your brain isn’t satisfied because you aren’t actually consuming those calories. Which ultimately leads to consuming more calories later. Studies have also found that long-term exposure to artificial sweeteners can contribute to type-2 diabetes, stroke, and high blood pressure. Artificial sweeteners can also screw up your gut bacteria– which ends up compromising your immune system and contributing to diseases usually associated with weight gain. There is substantial evidence that certain sodas (including diet drinks) decrease calcium absorption– especially in teenage girls. I’m guessing that’s why I’m so short. But this can actually lead to hip fractures and breaks. Drinking soda can also contribute to osteoporosis down the line and experts aren’t exactly sure why. It could be phosphoric acid, it could be that soda replaces calcium-rich drinks, or it could be cola. But they are sure that there is a connection between soda and bone loss later in life. Studies have shown a strong correlation between soda drinking (diet and regular) and developing certain cancers. Limited evidence suggests that the artificial sweetener known as Splenda can contribute to migraines. So if you get migraines, I would ditch the Splenda. Start Googling, and you’ll find a ton of articles claiming artificial sweeteners– like Splenda or aspartame– turn into formaldehyde when they enter your body. You’ll read that you can’t process artificial sweeteners properly because they “aren’t real” or something along those lines. It’s easy to debunk most of these claims. First of all, aspartame is much sweeter than natural sweeteners. Company’s add much less to consumable foods and drinks. That said, your body immediately processes aspartame into three different substances and subsequently brakes them down. One of these substances is methanol. Your liver converts methanol into formaldehyde– which your body uses and either turns into carbon dioxide (which you breathe out) or formic acid (which you pee out). I know it sounds scary, but mammals’ bodies also produce methane gas– which can be explosive. And guess what? Also totally normal. Adding to the point above, the methanol your body receives from one can of diet soda completely dwarfs the amount you would receive in a glass of fruit juice. So you better stop eating fruit if you’re concerned about formaldehyde. A lot of studies that claim artificial sweeteners cause problems aren’t exactly valid. Why? Remember I mentioned that your body immediately breaks down aspartame? That means aspartame per se never enters your blood stream. A lot of studies directly inject aspartame into the blood streams of lab rats. So unless you’re mainlining Diet Coke, this is totally not the same thing. Most of the outrageous claims you hear about artificial sweeteners provide just enough science to make them seem true. However, further searches can easily debunk almost all of them. So if you have a can of diet soda every now and then, I wouldn’t worry too much. If you have a bad diet soda addiction, I would try to quit. What’s interesting is that with Splenda– previously a huge trend– only 6 cans worth are considered safe. So I would avoid Splenda. Another exception: one of the three byproducts of aspartame is phenylalanine— which is actually a non-essential amino acid. In fact, phenylalanine is readily found in many foods and is sometimes used to treat all kinds of things ranging from depression to chronic pain. However, some people have genetic disorders and can’t process phenylalanine properly– which can lead to cognitive disorders and stroke. Pregnant women should also avoid phenylalanine. Phenylalanine can also cause negative side effects in people suffering from schizophrenia. There’s a bunch of junk in soda– diet or otherwise– so just stop drinking it! Stick with tea, coffee, or water. If the idea of chemicals makes you uncomfortable or you think you’re experiencing negative side effects, then don’t drink it. Diet drinks aren’t doing you any favors either way. Supplements: Which Are Essential & Which Can be Toxic? 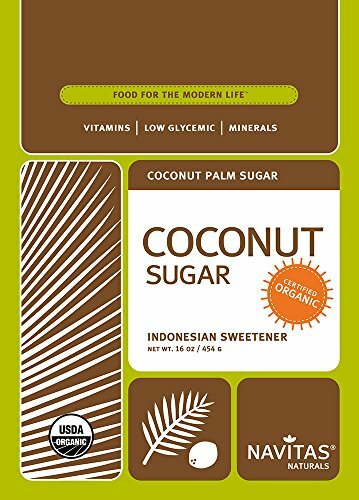 Is Coconut Sugar a Healthy Alternative to Sugar?